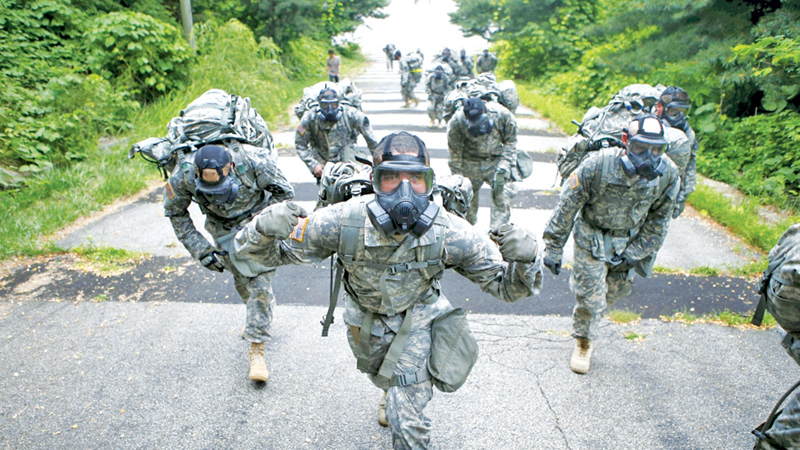 US soldiers at Camp Stanley in Uijeongbu, South Korea. SOUTH KOREA: Seoul said Sunday it agreed to hike its payment for maintaining American troops on its soil, settling a dispute with its longtime ally ahead of a second summit between the US and North Korea. The negotiations ended with South Korea’s foreign ministry saying Seoul will pay about 1.04 trillion won (US$924 million) in 2019, 8.2 percent more than what it offered under a previous five-year pact which expired at the end of last year. “The two countries reaffirmed... the importance of a strong South Korea-US alliance and the need for a stable stationing of the US troops,” it said in a statement issued after a signing ceremony. But Trump told US broadcaster CBS last week that he had “no plans” to remove US troops from South Korea as part of a deal at the upcoming summit, although he admitted “maybe someday” he would withdraw them, adding: “It’s very expensive to keep troops there.” Since the deal is only valid for one year, the two sides may soon have to return to the negotiating table.